2010 saw the restoration of the magnificent Father Willis Organ in Wentworth Church. This continues the celebration of the completion of this magnificent instrument. Neil Taylor won a Scholarship to the Royal College of Music, and during his studies he was organ scholar at St Albans Cathedral. On graduation he became Assistant Organist at Norwich Cathedral, building up the music, touring with the Cathedral Choir and forming a girls’ choir, before becoming Organist and Master of the Music at Sheffield Cathedral, a post he held from 1997 until 2016, when he toured extensively and made seven CD recordings. 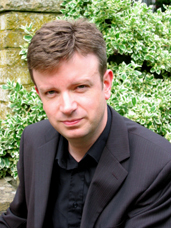 Neil has directed and assisted choral courses as far afield as Aldeburgh, Mexico City, and the Eton Choral Courses.